From the best-selling author and Pulitzer Prize winner, a powerful nonfiction debut - an "honest, engaging, and very moving account of a writer searching for herself in words" (Kirkus Reviews). In Other Words is a revelation. It is at heart a love story - of a long and sometimes difficult courtship and a passion that verges on obsession: that of a writer for another language. For Jhumpa Lahiri, that love was for Italian, which first captivated and capsized her during a trip to Florence after college. 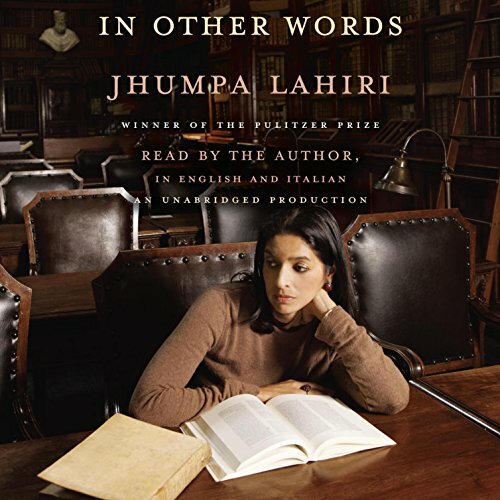 Although Lahiri studied Italian for many years afterward, true mastery always eluded her. Seeking full immersion, she decides to move to Rome with her family for "a trial by fire, a sort of baptism" into a new language and world. There, she begins to read and to write - initially in her journal - solely in Italian. In Other Words, an autobiographical work written in Italian, investigates the process of learning to express oneself in another language and describes the journey of a writer seeking a new voice. Read by the author in both English and the original Italian.